As Secretary of State, it is my legal and moral obligation to ensure ballot access to qualified voters. I am interested in boosting participation and combating the disturbing trend of voter suppression we’ve witnessed around the country. The surest way to keep government honest is utilizing the franchise of voting. What many people don’t realize is how the right to vote did not come easily. Consider the fact that the 19th Amendment—guaranteeing women that right—was not adopted until 1920. That isn’t so long ago. Before that, women were shut out of voting booths. The New Jersey Division of Elections Office Has Moved. The New Jersey Division of Elections office has moved to a new location on the fourth floor of 20 W. State St., Trenton. The Division of Elections will operate as normal and all phone and email contact information is unchanged. On Friday, March 23, Secretary of State Tahesha Way led a delegation from New Jersey to a dress rehearsal of a table-top training exercise for prevention of cyber-attacks and information operations at the Belfer Center for Science and International Affairs at Harvard Universityâ€™s Kennedy School.  A meeting of the State of New Jersey Voting Machine Examination Committee will be held on Thursday, April 18, 2019, at 10:00 a.m. at the Division of Elections, 20 West State Street, 2nd Floor Conference Room 223, Trenton, NJ. A meeting of the State of New Jersey Voting Machine Examination Committee will be held on Tuesday, April 30, 2019, at 10:00 a.m. at the Division of Elections, 20 West State Street, 2nd Floor Conference Room 223, Trenton, NJ. The list of evening registration hours for each of the 21 counties for the June 4, 2019 Primary Election. For additional information on evening registration hours and locations, please contact your Commissioners of Registration. On this Census Day, as we count down to the next decennial census and the 2020 presidential election, we honor Mrs. Wooten and thank her for her service to our great state and to our country.